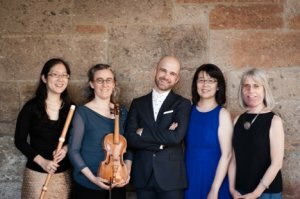 An Academy of Early Music–Stearns Collection of Musical Instruments Partnership Event. During the autocratic reign of Louis XIV, music did not only serve as entertainment, but also as an important form of political messaging, often between warring factions within his own court. In this lecture, members of Les Bostonades will examine the cantatas of Montéclair and Gervais as well as Couperin’s Les Goûts-réunis, how these composers presented controversial material to a dangerous audience, and the subtle political messaging they employed. 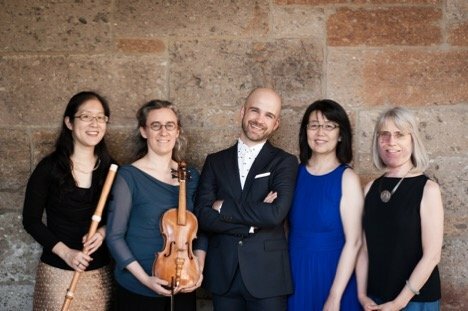 The ensemble has developed under the direction of Akiko Sato, an acclaimed harpsichordist and continuo player with a unique cultural background. Ms. Sato’s early training in Japan, and further study in the U.S. and Montreal, have given her unique cultural perspective, along with exposure to French language and culture. Akiko’s passion for French language and Baroque music led her to early music study at McGill University in Montreal, where she focused on studying music of the French clavecin school and Baroque stage works. This work has shaped Les Bostonades’ programming, which over the years, has featured lesser-known French Baroque composer such as Boismortier, Guillemain, Stuck, Mondonville, Colin de Blamont, Courbois, and Senallie (along with Rameau, Couperin, and Marais, and the great composers of the Italian, and German Baroque traditions).